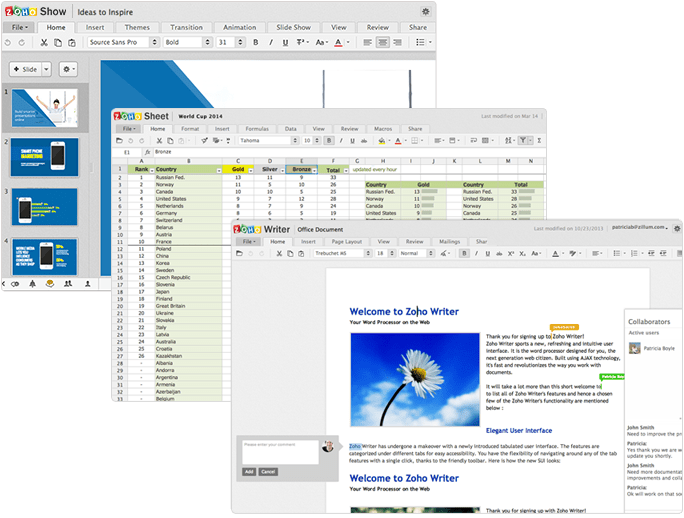 Those who are using computers for their office, studies or business purpose, may observe the use office suites like Document editor (Word, docs, WordPad,etc. ), Spreadsheet (Excel, etc.) and Presentation (PowerPoint, etc.) tools. Without any doubt, we can say that these are good tools available on the computer to do our daily task easier. Business presentation for business people, academic presentation for students, research paper presentation for researchers, career-related presentation for officials, all can easily be done with a presentation software. We are all familiar with office suites like Microsoft Office, which provides Word for document editing, PowerPoint for presentation and Excel for accounting. The old office suite has some limitations. Think about a situation, that you want to work in a document which requires more time, and it must be installed on your office computer, your home computer and your laptop for continuous working. But still a problem in it is, you must always carry the last updated version of the document with you always. You need to copy it to and from the device. Yes, you can use a USB drive to do it, Oh ! I Know you can send it to your email and access it anywhere having an internet connection. If not? Another thing is, there is great chance to get it corrupted in the copying process. All your work will be a waste if it happened. Think one more thing, you want an assistant to work on your document or someone to help you to prepare the document with you. You cannot do such a collaboration in the offline process. Solution: Go Online. Forget the hassle of having to carry a USB pen drive wherever you go. You can store them in the cloud. Yes, you heard it right. In the internet world “Cloud” refers to an online storage feature. Cloud storage is a cloud computing model, where data is stored on remote servers accessed from the Internet, or “cloud.” It is maintained by a cloud storage service provider on a storage server. So you have access to them anywhere, any time on any machine like PC, Mac, or tablet – the device doesn’t matter. You can sync (another internet term, means synchronization)your files across devices and access the recent version of the document. Go online, there are sever services offering online office suites. We are going to see some of them, to get into its features and methods of accessing it. First, of these kinds of software, we are going to talk about Microsoft’s online office suite. Because it is having the most familiar environment of the office suite. We can simply say that it is an online version of the office suite, having almost all the features in an office suite. You can create and edit documents, resumes, newsletters, with the word. You can invite others to review and co-author in real time. Free templates (themes for doing some specific jobs) helps you to create documents for different purpose easily. It includes formatting tools for MLA, APA, and Chicago style requirements help researchers and academic journal editors. With free Office add-ins, we can add additional functionality like Wikipedia add-in, for quick and easy online research as you write. 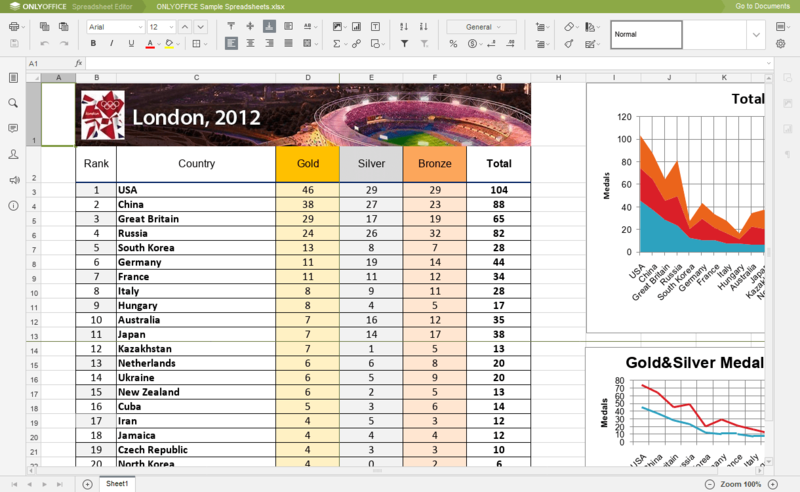 Create and analyze data in Excel spreadsheets and workbooks. The changes made by you are automatically saved as you type. You can visualize the data with modern charts and graphs. Another important thing is the real-time collaboration which enables everyone will work with the latest version. You can prepare compelling presentations in minutes using professional-looking free templates. You can add animations, transitions, photos, and online videos to your presentation. Collaboration with the same presentation at the same time, from anywhere is also possible. Thanks to Google for providing office suite to give us free online. These help to re-think others to provide their stuff free (with limited features) for users. Goole office suite comprises of Documents to prepare documents, a spreadsheet for doing financial calculations and organizing data. Presentations for presentations. Draft documents with the Google’s built-in document editor. Do financial calculations by organizing data in separate sheets. We can use the pre-defined conditional expressions, functions, and formulas to analyze finances and data. In these days every event is incomplete without a neat presentation. Impress your audience with the nice themes, embedded videos, impressive flowcharts, live twitter feeds, and remote broadcasting with Google Presentation. Zoho suites allow you to chat and brainstorm together anytime, anywhere, and on any device. Like other office suites, you can store your files. Access them anywhere. Zoho Docs gets you started with 5 GB for free to store and retrieve all your files. Sync files and folders on your desktop and work in them from any device. You can access your Dropbox files directly from Zoho Docs, its integration keeps your files synced. Zoho Docs is integrated with Google Apps, you can pull documents from your Google Drive and start working with it in Zoho Docs. Zoho Docs API provides individuals in organizations a more comprehensive way of working with Zoho’s applications. You need an office suite as your own, the Onlyoffice is the solution. You want an office suite for your company or firm, use onlyoffice deploy a full-featured office suite on your own server, the advantage is you can get a full control of your data. You can get a cloud version, ONLYOFFICE portals are hosted on Amazon Web Services (AWS). They are offering 256-bit AES encryption and the portal access is allowed through the HTTP with SSL (Secure Sockets Layer). But you have to pay for it, the advantage is you have to get your own office suite. Best for business and corporate firms. The server version is designed with HTML5 canvas property. If you want to set up your own office own your own server, go for ONLYOFFICE Community Edition, it is a free complete solution can teams up to 20 users. You need someone has good IT knowledge to configure and update the software. For community edition the system requirements are, CPU Dual-core 2 GHz or better, RAM 6 GB or more, HDD at least 40 GB of free space, Additional Requirements at least 6 GB of swap, OS amd64 Linux distribution with kernel version 3.10 or later.